Here comes time for not using the traditional padlock with key anymore. In today’s modern era, as now, a lock that can be opened by using a smartphone would be more appropriate. 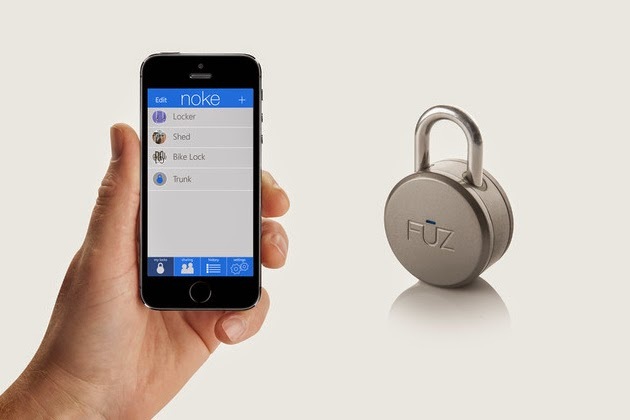 For this one, introduce an advanced electronic lock named Noke. Noke name is taken from a no-key pronunciation made ​​by Fuz Design. In contrast to conventional padlock, Noke can be opened using Bluetooth connectivity –it’s the first time worldwide. This padlock can be opened using a smartphone that has previously been authorized. Not only that, for the issue of security; each key is given a unique name. Access keys can also be given to the other smartphone users using iOS or android app. The use of electronic lock is also claimed to provide a simpler way in securing valuables. In fact, you can open the lock without having to bother with the lock. With an attractive design, project Noke is also easily reach the target of 100 thousand USD, although the deadline remains 29 days.